According to web developers, joining hand with designers will help them to create awesome website for their clients. There are different types of tools used for conception, wire framing, content creation, code generation which is essentially helps for web workflow. Designers always seem to go back to the same tool, that is Adobe Illustrator. This tool is used for various reasons, from creating simple mockups or content, with full blown responsive design. Adobe Illustrator is a professional quality graphic art program. Although the program is complex and requires some amount of time to become truly master to use this tool. You definitely need to know the use of tools on the tool bar, as many tools are available on the adobe illustrator tool bar and this can be used to draw illustrations, cartoons, logo design, diagrams and charts. Before starting a work in this digital world. First thing to do is to plan how the final design should be (it all about presence). Another thing we all need to know and learn about “raster vs Vector”. Illustrator is inherently vector-oriented, or based on “points and math,”. Illustrator, being a unique tool, deals with a lot of file formats for importing and exporting. Interaction with users tells us that usage pattern of Ai is different in different segments, and while some formats are popular in certain segments, others are simply important to the workflow even if they are not as commonly used. Adobe Illustrator (ai), Illustrator EPS (eps), Illustrator Template (ait), Adobe PDF (pdf), Adobe FXG (fxg), SVG Compressed (svgz) and SVG (svg). These are the several formats that can be used in Adobe illustrator. Usually before we start a web development process with a framework or platform in mind something that usually has a fluid grid. 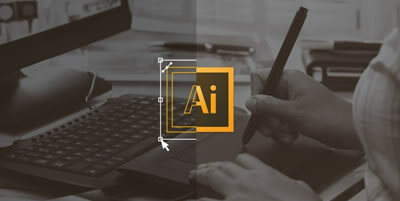 If you plan for designing a withy large framework like Bootstrap or Zurb- Foundation, adobe illustrator will be the right choice as you can add shared libraries for the components to your design. The adobe Illustrator allows you to extract CSS. When you extract the CSS you will be able to copy and paste it onto your favorite editor. You can select all artwork that you can create and select all at once. Then you can use the CSS properties panel to export each of them independently as a PNG. Web Designing plays important role in online business development, We Digital atrium have the well trained professionals for Adobe illustrator. Contact us for innovative and outstanding Multimedia solutions to your business.